The movies have gone to the dogs in Plano, Texas – literally. 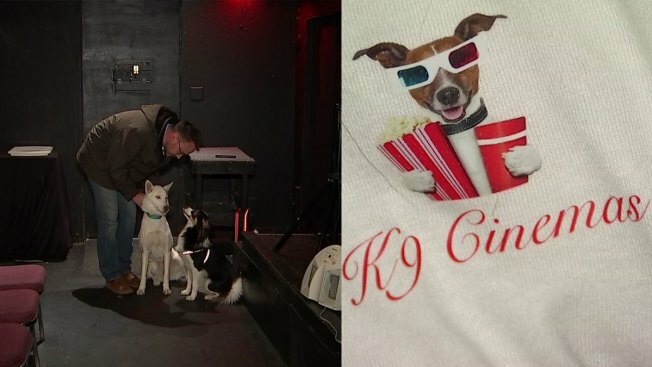 Popcorn and poodles and golden retrievers in front of the silver screen will be a common sight at K9 Cinemas when the movie theater opens Friday. “We’re going to have the movie on. We want people to be able to relax and watch the movie just like they would at home,” owner Eric Lankford said. Lankford said he wanted a place for people like him who enjoy time with their dog. He said he didn’t see any other place that would allow him enjoy a movie with his dog. “We are going to be showing older movies. We are going to have snacks, drinks,” Lankford said. Lankford is aware that dogs can sometimes be unruly, so there are a set of specialized rules for Rover. Lankford said, for now, the theater will only be open on weekends. It’s an experiment that could lead to a very unique movie-going experience. “We are going to have dogs here, so there is going to be noise. That means you might have to take your dog outside to go use the restroom,” Lankford said.